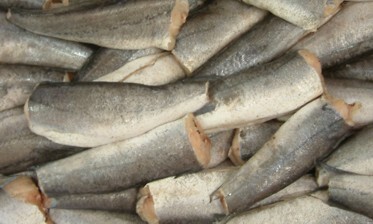 Already in use in Namibia, it performs a precise curved head cut on whitefish, saithe and cod, thereby increasing the yield obtained from each fish processed, especially when compared with older straight-cut heading machines. The infeed is by and large not dependent on the operator as the machine uses the gills to orientate the cut. The speed capacity of the machine is limited only by the speed of the operator: a single operator can feed between 70 to 90 fish / minute. The extended (longer) infeed version of the Baader 408 enables two operators to feed fish, resulting in a throughput of up to 120 fish / minute. 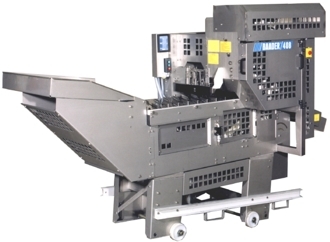 This high capacity means a single heading machine can be used to feed two Baader 208 filleting machines. Additionally, a tail cutting device can be added. Working range is for whole fish sizes 30-55cm. The machine can of course be used at sea or on land.